PRESS RELEASE – Organized by Sherbrooke Innopole, the first edition of Sherbrooke International Life Sciences Summit (SILS – sils-sherbrooke.com) was a smashing success with nearly 300 participants from Canada, the United States, France, Great Britain, Sweden, Iceland, and the United Kingdom. Some 15 renowned speakers from the pharmaceutical and medical technology fields and more than 400 B2B meetings were also on the program. The event enabled Sherbrooke businesses and researchers to extend their reach across the world. Under the honorary chairmanship of Marc Bonnefoi, Director of the North America R&D Hub and Vice President of the Disposition, Safety and Animal Research (DSAR) Scientific Core Platform at Sanofi, the Summit presented a program of conferences related to the theme of « Building Opportunities Together« . Dr. Robert Langer, Keynote Speaker, internationally renowned engineer, and professor at the Massachusetts Institute of Technology (MIT), opened the Summit by sharing his experience with regard to the creation and integration of cutting-edge technology. Dr. Langer is notably a pionner in the field of controlled release medication delivery systems (patches) and tissue engineering. For the lunch conference, Dr. Réjean Hébert, Minister of Health and Social Services for the Province of Québec, Minister responsible for Seniors, and Minister responsible for the Estrie region, has called on the industry and the research sectors to enhance collaboration in order to better face the challenges posed by population aging and the need for a better control of healthcare costs. Dr. Hébert has emphasized the importance of bridging the gap that still exists between the research and marketing sectors. 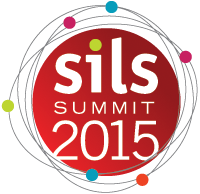 In addition to Dr. Langer and Dr. Hébert, the first edition of SILS brought together speakers from prominent pharmaceutical and medical equipment companies—Sanofi, Pfizer, Novartis, Eli Lilly, Philips, Roche, and CAE Healthcare—who shared their need for collaboration with the researchers, SMEs, and investors attending the event. Alongside the scheduled conferences, more than 400 private business meetings took place during the 2013 edition of the Sherbrooke International Life Sciences Summit, thus enabling participants to explore and create actual business opportunities among key players in the pharmaceutical and medical technology fields, SMEs, researchers, and investors from all over the world. Participants were able to learn more about innovative and powerful collaborative models thanks to a panel facilitated by Ola Hermanson, renowned professor from the Karolinska Institute of Sweden, that brought together players from Medicon Village in Sweden, the Massachusetts Life Sciences Center, the MEDTEQ consortium of industrial research, and NEOMED. At a lunch conference, participants got advice on creative networking from Garry Savage, creator of the Cirque du Soleil’s Centre for Research and Innovation in Performance, and currently in charge of the Centre d’innovation, de développement et de transfert technologique at the Sainte-Justine technocity, and Sylvie Geneau, senior partner at CRENO Innovation. Close to 200 of SILS’ participants experienced the gourmet and touristic side of Sherbrooke through a locally-flavored meal aboard the Orford Express tourist train, which was chartered for the occasion. The Summit, presented in conjunction with Rx&D (Pharmaceutical Research Companies of Canada) and MEDEC (Canada’s Medical Technology Companies), was the venue for three important announcements. Merck Canada has announced a 4M$ grant to the Fonds de recherche du Québec – Santé for university research whithin the framework of a patient-oriented research initiative. Sherbrooke Innopole and Medicon Village AB signed a memorandum of understanding which aims at fostering collaboration between Life Sciences hubs in Sherbrooke, Québec, and Lund, Sweden. Lastly, NEOMED announced the beginning of a new drug development project with three researchers from Sherbrooke: Drs. Martin Richter, Richard Leduc et Éric Marsault. This new funding will allow them to pursue the develpment of a new class of antiviral drugs to counter influenza virus replication. Mr. Cantin also highlighted the financial support of the Summit’s valued partners: the Ministère des Finances et de l’Économie du Québec, Canada Economic Development, the City of Sherbrooke, the Conférence régionale des élus de l’Estrie, and the Natural Sciences and Engineering Research Council of Canada, as well as many private stakeholders. In conclusion, the Sherbrooke International Life Sciences Summit is proud to donate to the CHUS Foundation an original work of art by Sherbrooke artist Etienne St-Amant. Created with mathematical formulas, this piece is part of a series of 20 exclusively made for the event, and presented to SILS speakers.